What better way to celebrate Easter than with these delicious grain-free and dairy-free Coffee-Cake Muffins?! These muffins are the perfect addition to any brunch—just add your favorite warm beverage and enjoy! Combine almond flour and baking soda. In a separate bowl, mix the eggs, maple syrup and vanilla extract. Add the dry ingredients to the wet ingredients and mix well. Pour batter into cupcake liners and fill about halfway. 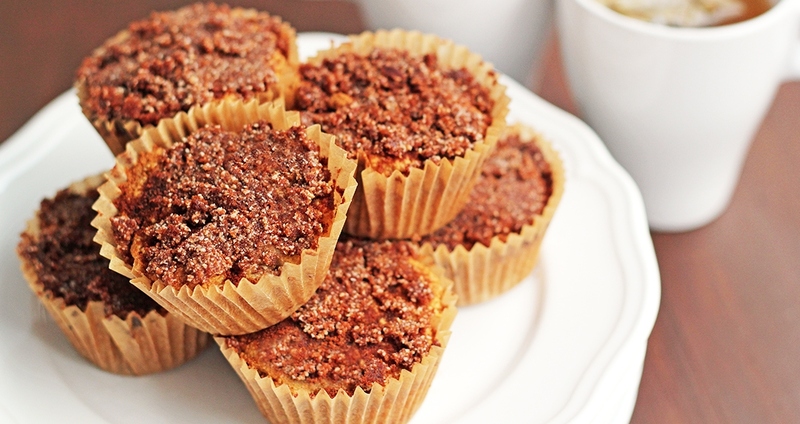 Mix the coconut sugar, coconut oil, almond flour and cinnamon together well to make the topping. Sprinkle generously over the muffins. Bake for 15–20 minutes, or until a toothpick comes out clean.